Kiss My Smash: Baking Soda - Who Knew? Baking Soda - Who Knew? While visiting friends in North Carolina I knew I had to do something creative and fun with my friend Bee. 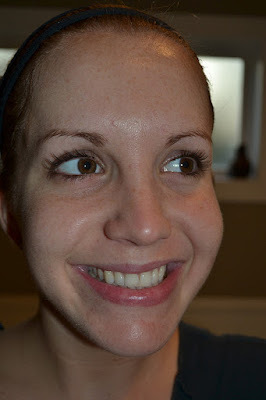 I found this inspirational idea for a DIY at home Microdermabrasion. According to Pinterest, this is the method that Lauren Conrad uses to keep her skin glowing. 1. Mix 3 parts baking soda with 1 part water. We decided to go with 3 tablespoons of baking soda and 1 tablespoon of water. That ratio didn't quite work for us. The water was absorbed so quickly and it we had assumed it was supposed to be paste-like. So we decided to just start adding water until we liked the consistency. We were using shower caps for another project later on, so I thought I would just wear it. 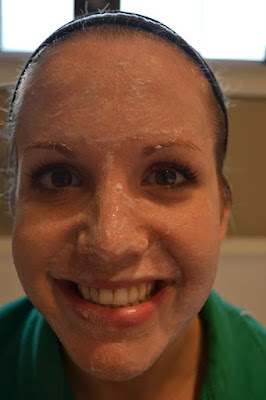 Bee applied the paste in a circular motion on my face. We couldn't stop laughing! Bee's pup Bella wanted Microdermabrasion too! I feel like all I do is post ridiculous photos of myself on Kiss My Smash. Hope you don't mind. This is after the paste has been applied all over my face and rubbed in. It tingled a little bit. My skin felt great afterward! So smooth and clean. But how ridiculous do I look in this shower cap? I was trying so hard to not laugh. Now it's Bee's turn! She opted for the non-shower cap look. What a great model she is. Bee used her hands and rubbed the paste in. I think I would go for this method next time. 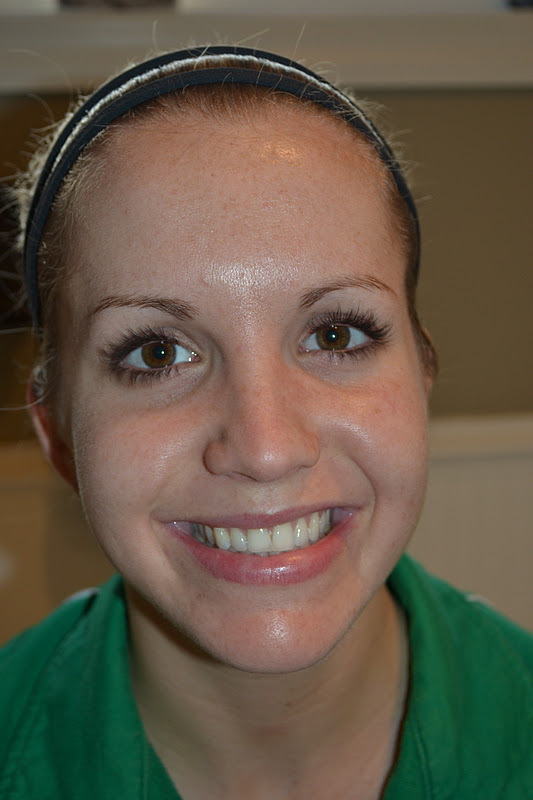 After Microdermabrasion. Bee has the same results I did. Her skin felt smooth, clean, and overall great. We both decided we will be adding this to our routine skin care. I think I'll be adding this in every two weeks. I would definitely recommend it!